Description: Participants of this workshop will learn about puppetry and material manipulation, which involves the exploration of storytelling and theatre in the world of puppet making! This workshop will start with an exploration of puppet making through the work of Jim Henson. During this fun, interactive, and therapeutic “hands-on” workshop, participants will learn various methods and reasons why we make and use puppets! Participants use their creativity and problem-solving skills to manipulate various materials into puppets, as they themselves become “puppeteers”. Each participant will build his or her own masterpiece puppet to take home! Marionettes are jointed, often carved of wood, moved by strings and the weight of gravity from a bar structure. Puppeteers manipulate the stringed figures from a bridge above the stage. Marionettes appear in large theater pieces and opera as well as cabaret and children’s stories. Hand/Finger Puppets, designed to cover the hand and forearm, are among the most popular and versatile. Some are simple, crafted from scrap and everyday items like paper lunch bags. Many are elaborate, boasting meticulously sculpted faces and exquisite costumes. All appear on puppet stages of various sizes and shapes, with backdrops and stage sets, lighting and music. A few puppeteers carry their stages on their backs in informal walk-around shows. Hand puppets are vital tools in education and therapy for children. Rod Puppets, more easily seen from a distance, are bigger than hand puppets. A center rod through the puppet holds them. Puppeteers manipulate auxiliary rods attached to long, jointed limbs, which allow for expansive gesture. 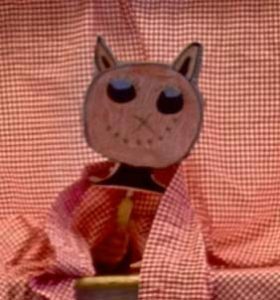 A popular variation is the combination hand and rod puppet. Recycled materials of any kind: gloves, socks, buttons, fabric, toilet paper/paper towel rolls, broken items, small pebbles, shells, cardboard, or anything else that might be useful for this project! *Instructor will provide puppet samples, videos, worksheets or any other instructional materials. Teacher: Cassandra Gengras is an art educator at Leicester, Sudbury and Whiting Elementary Schools within the RNESU district. With a passion for recycled art, sculpture, puppetry and art therapy, Cassandra is very much looking forward to and excited about teaching this workshop for the Brandon Artist’s Guild. 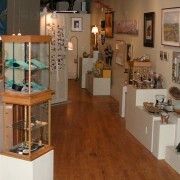 Registration: Sign up at either the BAG Gallery or phone in (802-249-4956) child’s name and credit card number.